Oh how I long for spring to come our way. Seriously, someone call spring and them to quit napping!!! Now onto to outfit. 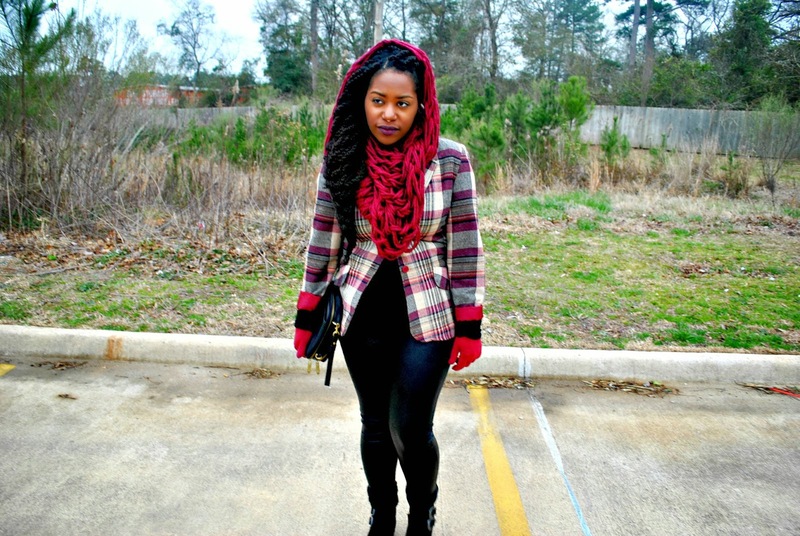 This lovely handmade chunky scarf by AmberEmme was the inspiration for this outfit. While it is normally worn around the neck, it wouldn't be if I didn't spice things up a little bit. 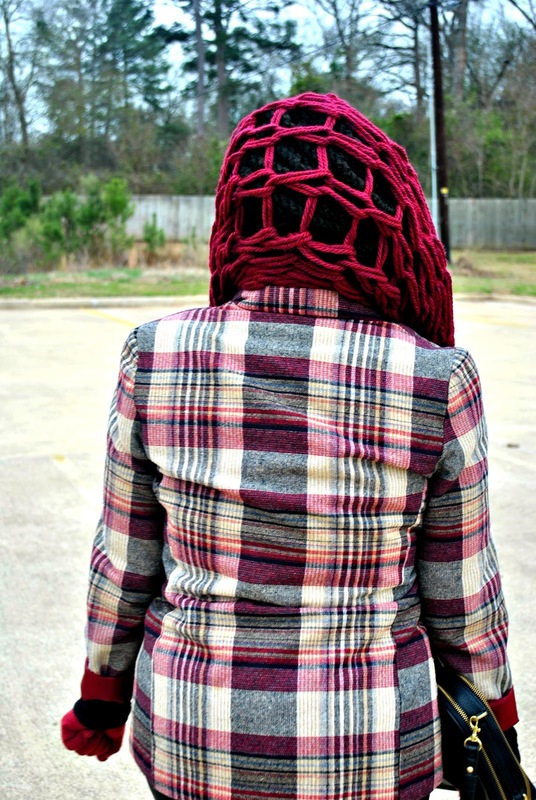 Draping it over my head, not only gave me the edge that I love, but kept me pretty warm as well. 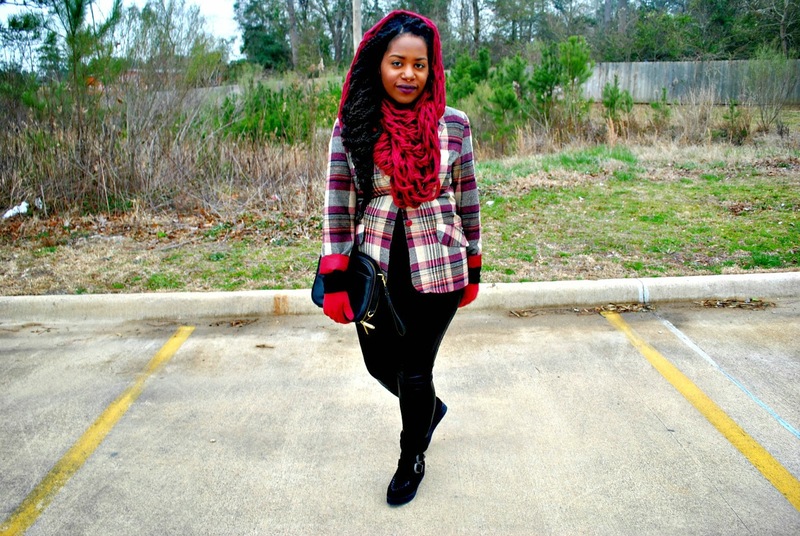 The blazer is another thrifted gem that fits like a glove, and I also though that the color palette of the plaid would work nicely with the scarf. 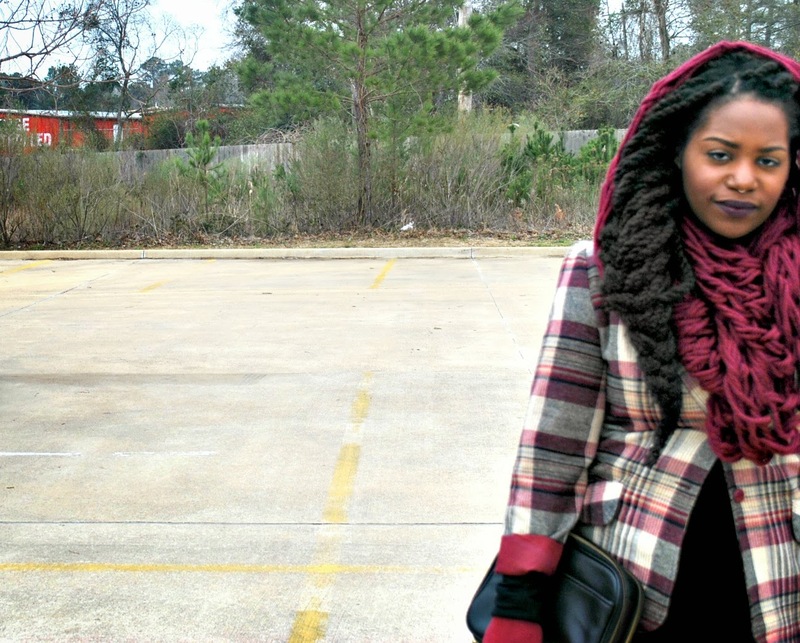 Keeping the rest of the outfit black, allowed the scarf + jacket combo to really shine. 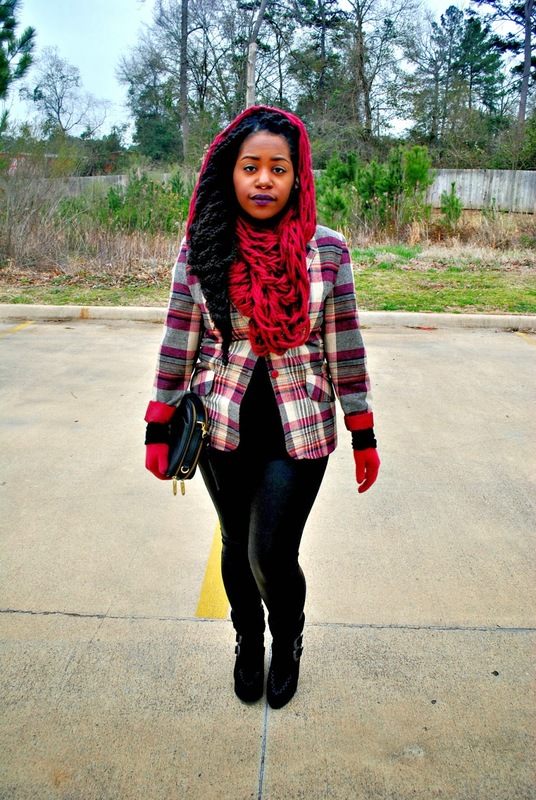 great outfit and love how the scarf goes so well with the coat! your hair looks amazing! 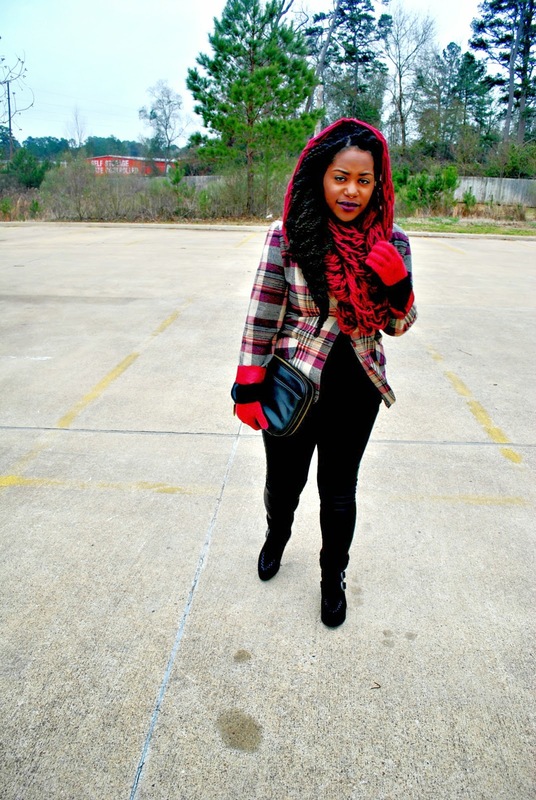 the gloves and scarf go perfectly together!